N11 is located toward the northern part of the LMC. It is an intricate network of bubbles that is over 1000 light years across surrounding the central open cluster LH9, also known as NGC1760. 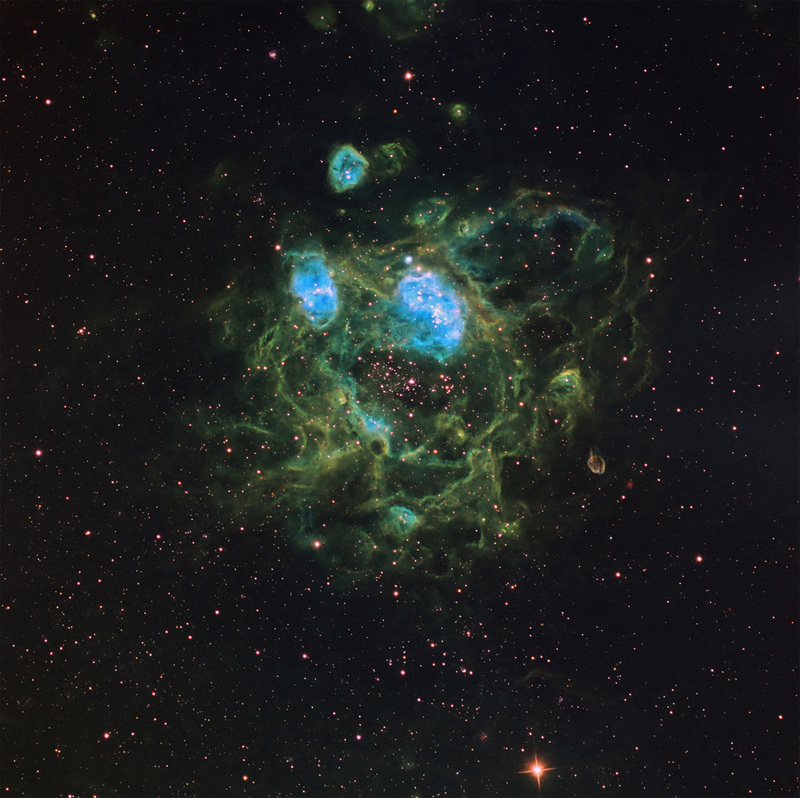 It is a very large cloud, second in size in the LMC to 30 Doradus. The very bright object just above center is N11B. It is about 100 light years across and has been extensively studied. It is considered to have formed from three successive episodes of star formation. The field is ~ 45 x 45′ with a plate scale of 0.65"/pixel.